A Gustor stonegrill is always a guarantee for a true feast. For the "Meatlover" selection our butchers have handpicked 6 extraordinary types of meat including 2 dry-aged cuts. Any meat aficionado will be amazed by its flavour and variety. Everything is cut into sices of about 1cm thick and the portions are about 350gr per person. 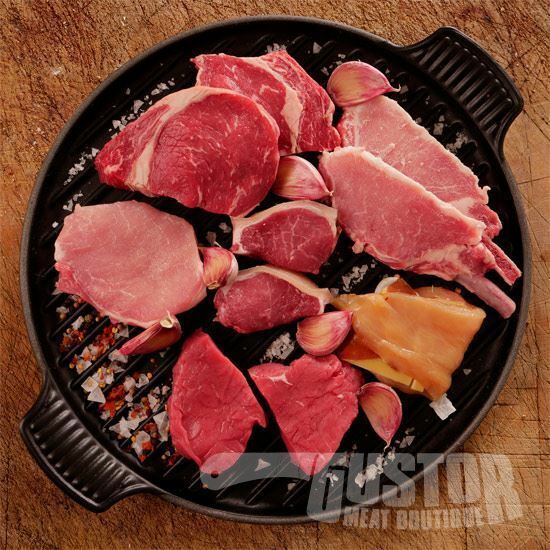 U kunt dit assortiment klaarmaken op een stonegrill, plancha of gourmetstel. 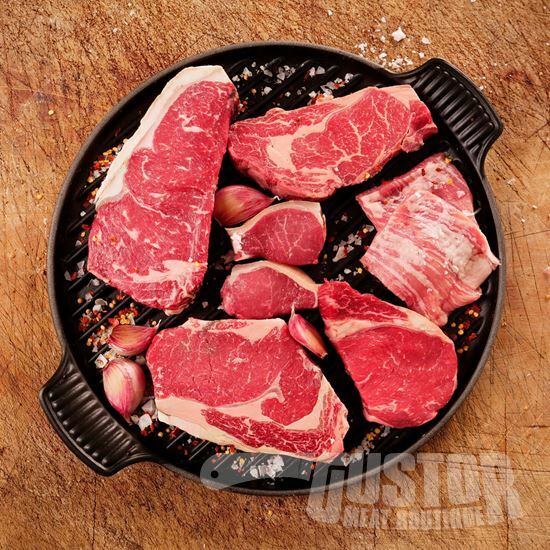 You can prepare these cuts on a stonegrill, plancha or gourmet set.